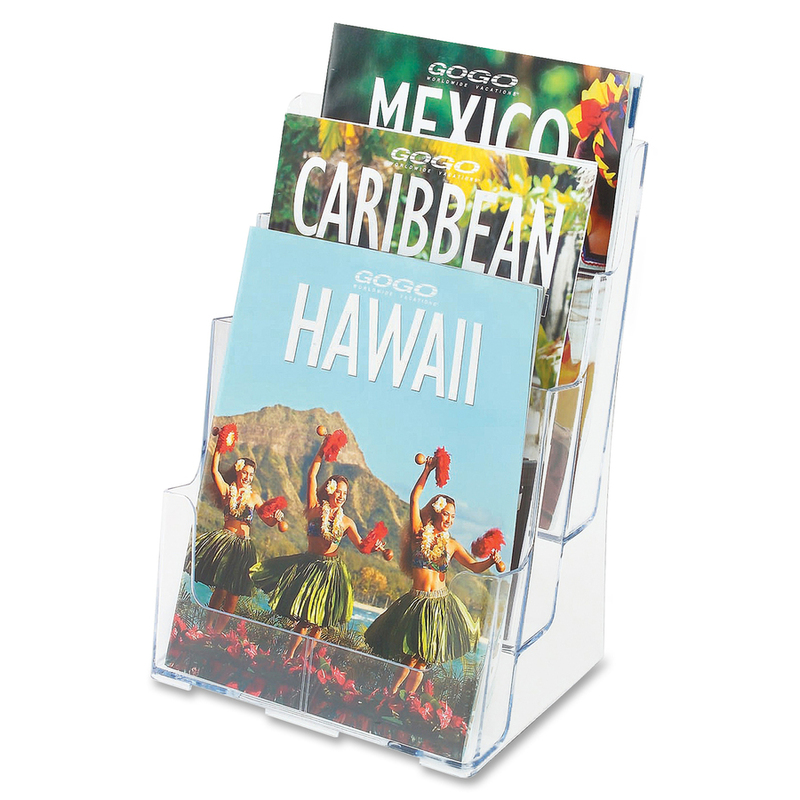 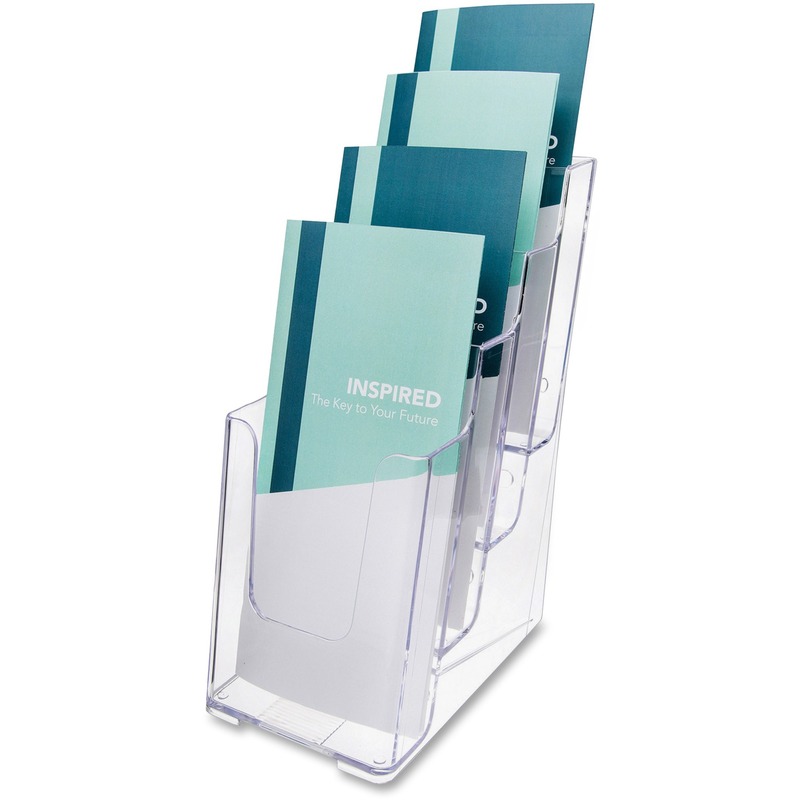 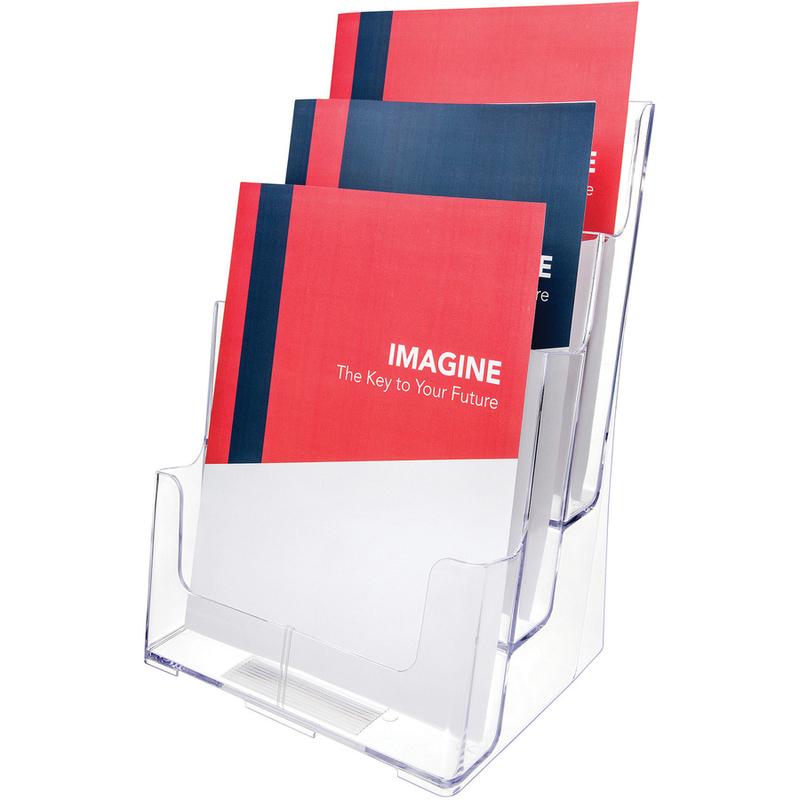 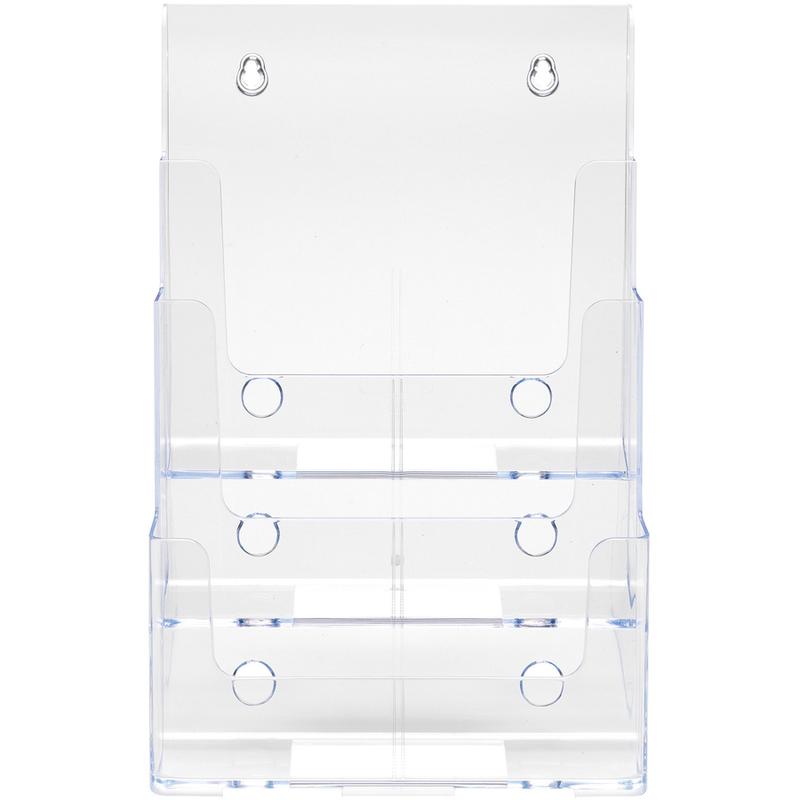 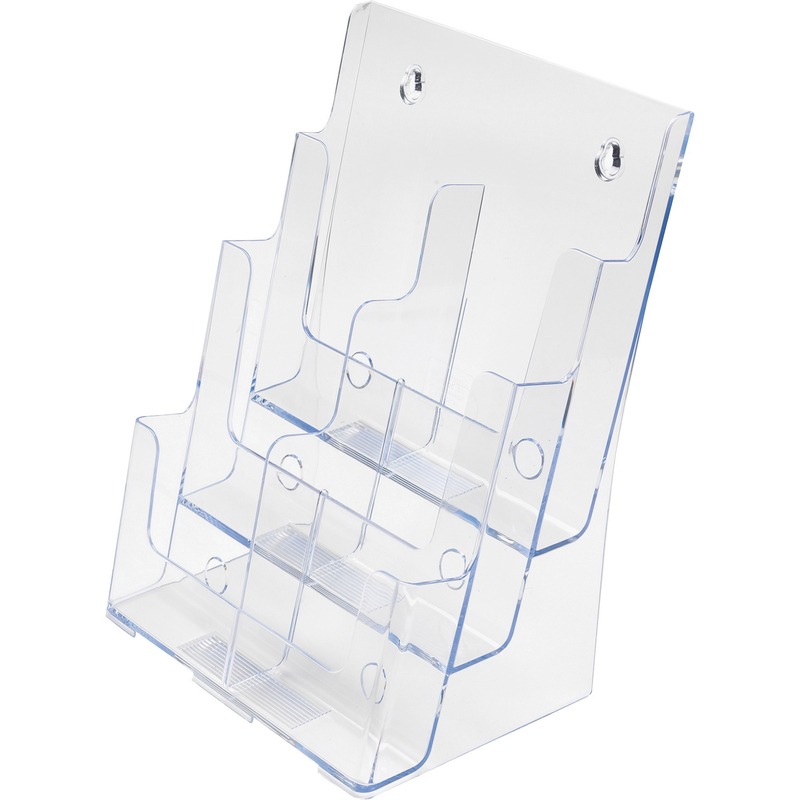 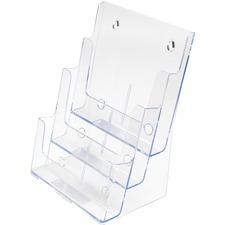 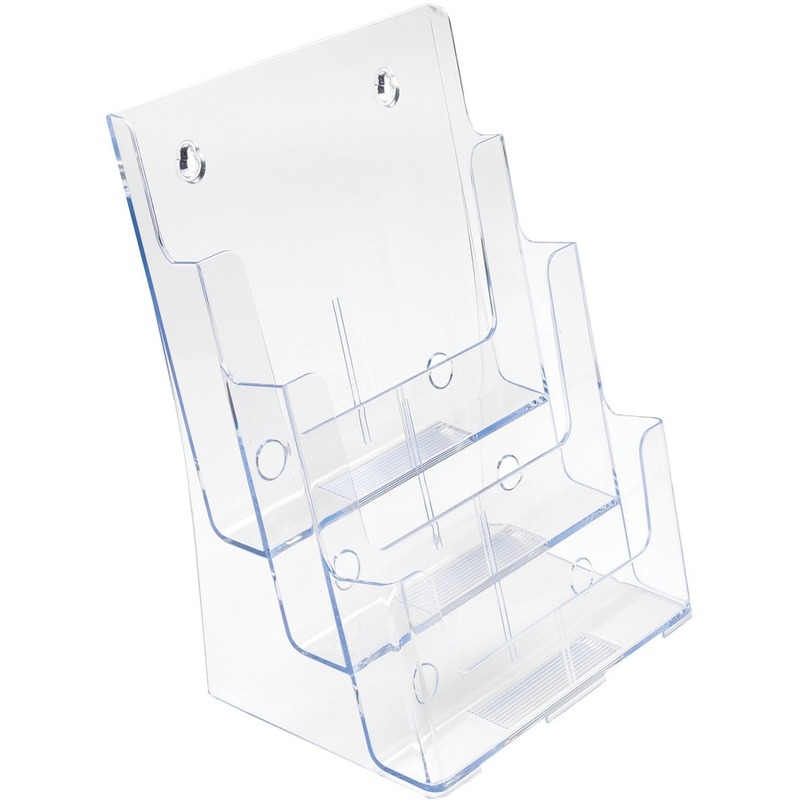 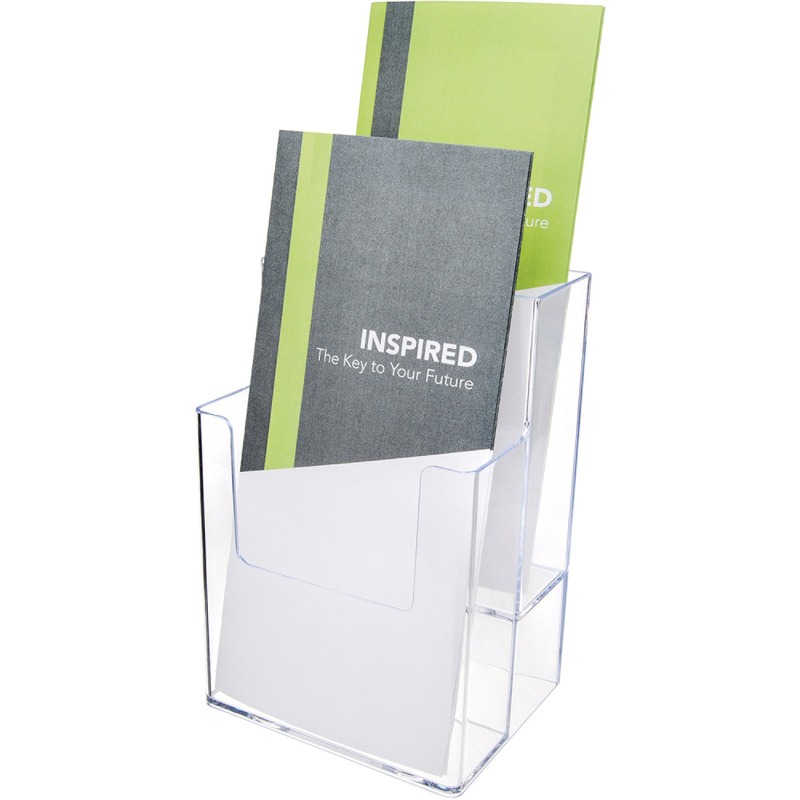 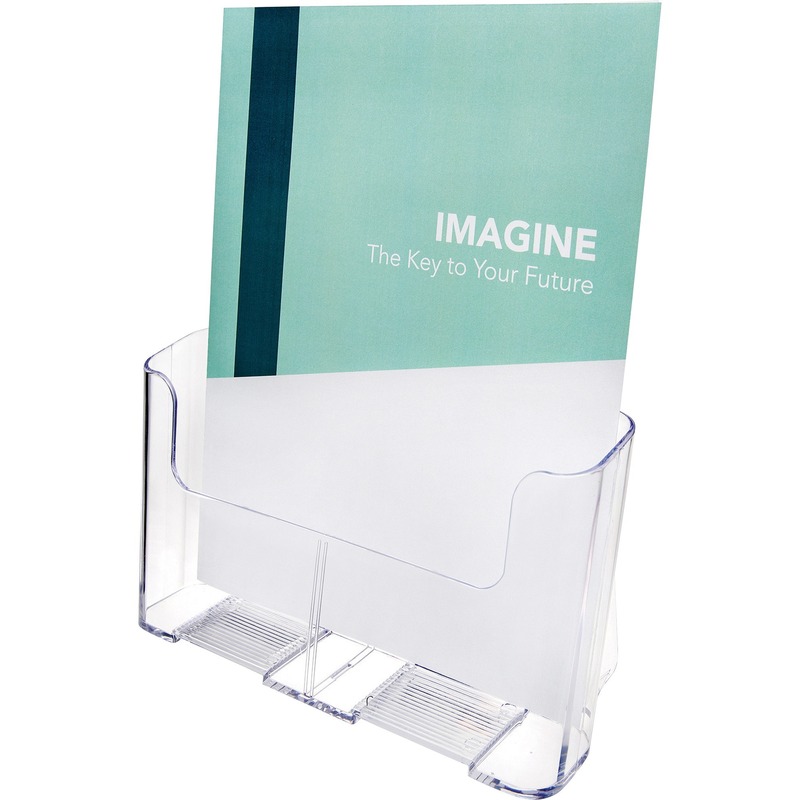 Compact, desktop literature holder features a three-tier design so you can display a variety of brochures. 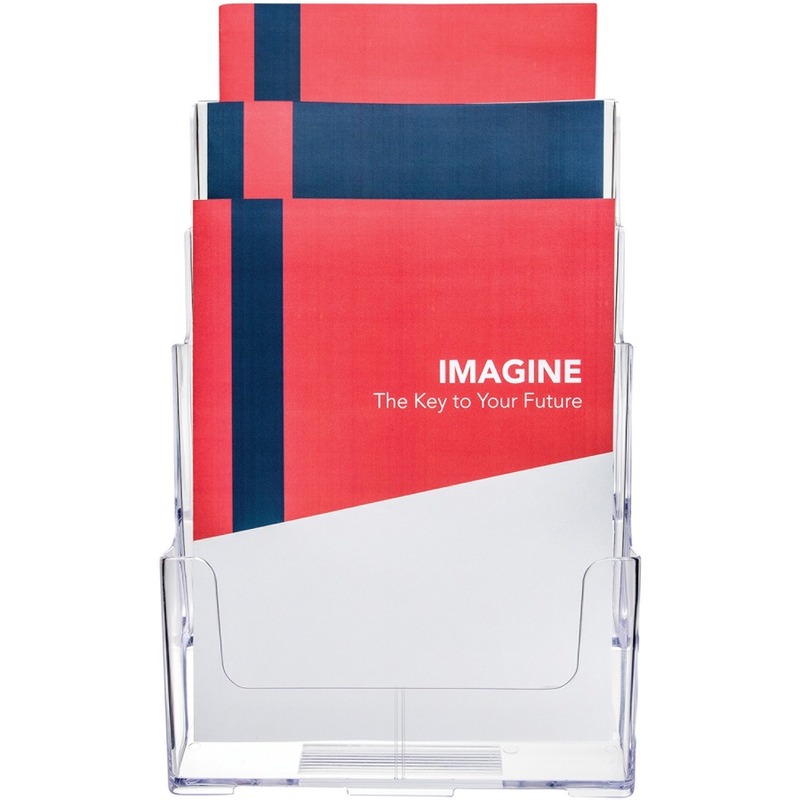 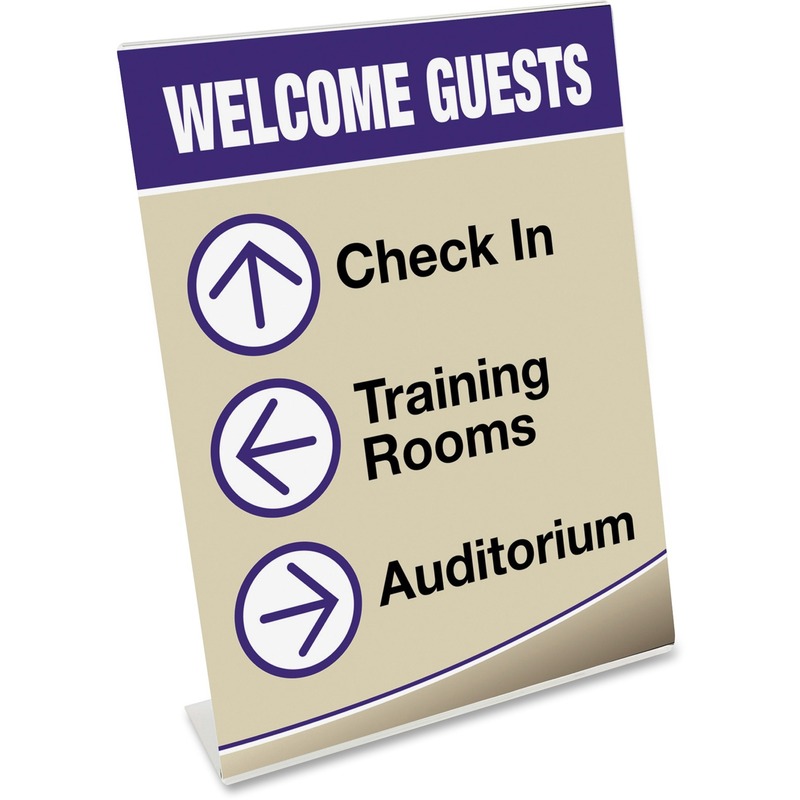 Each pocket displays literature up to 8-1/2" wide. 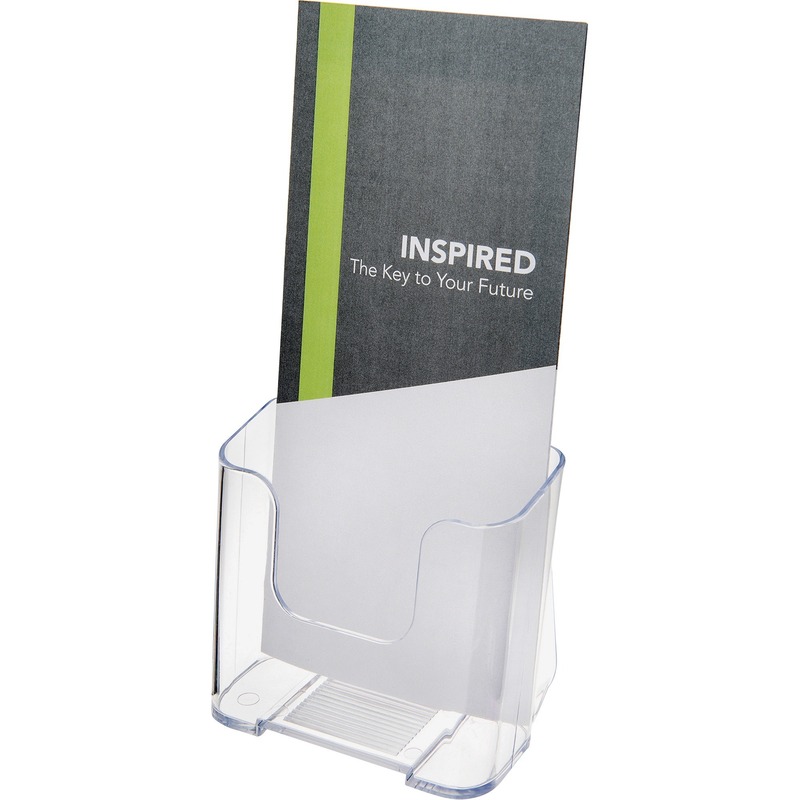 Literature holder is made of crystal-clear plastic. 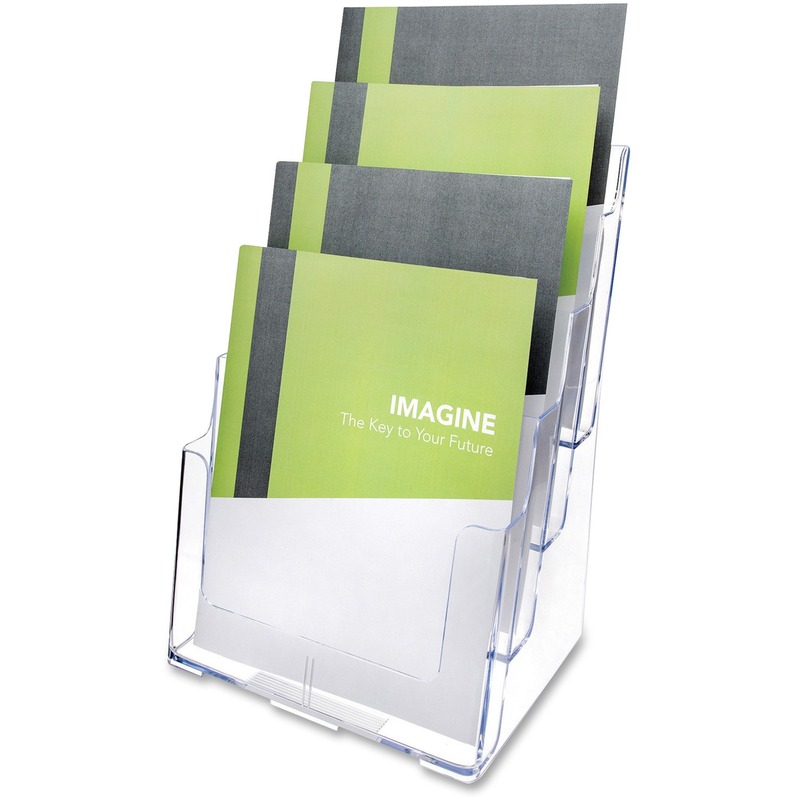 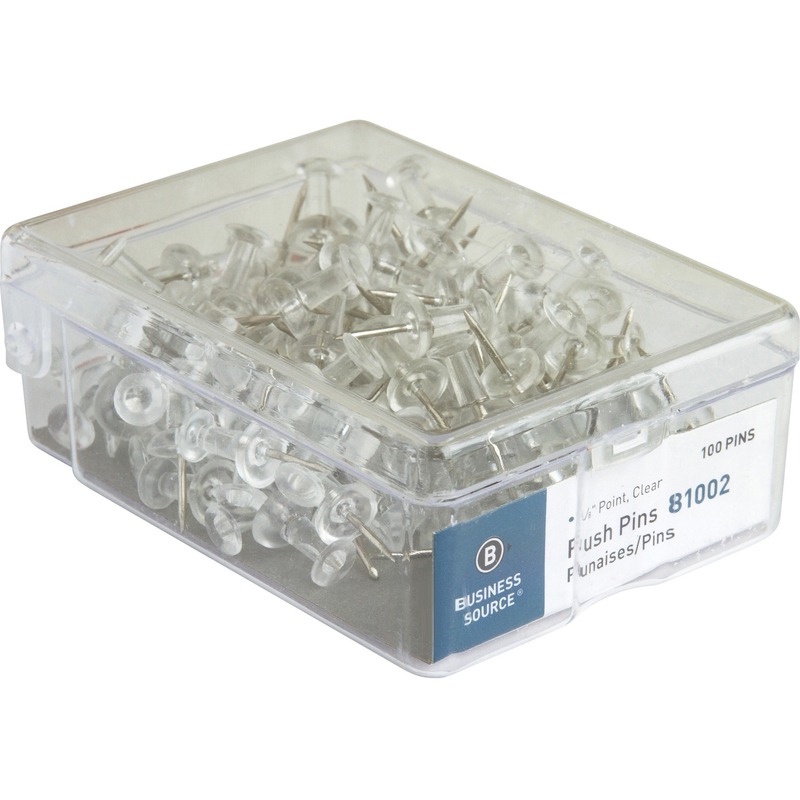 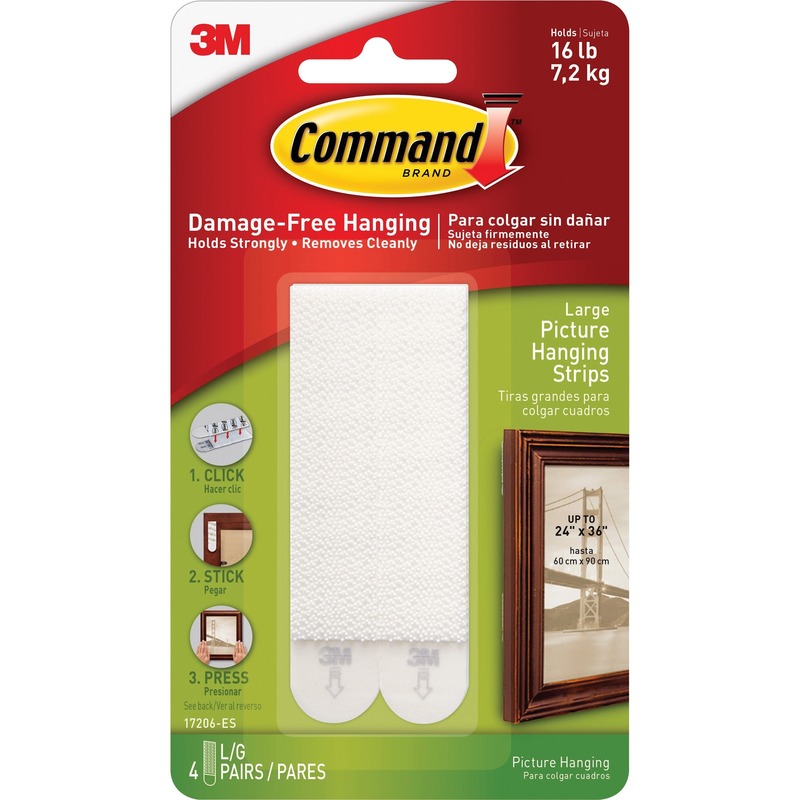 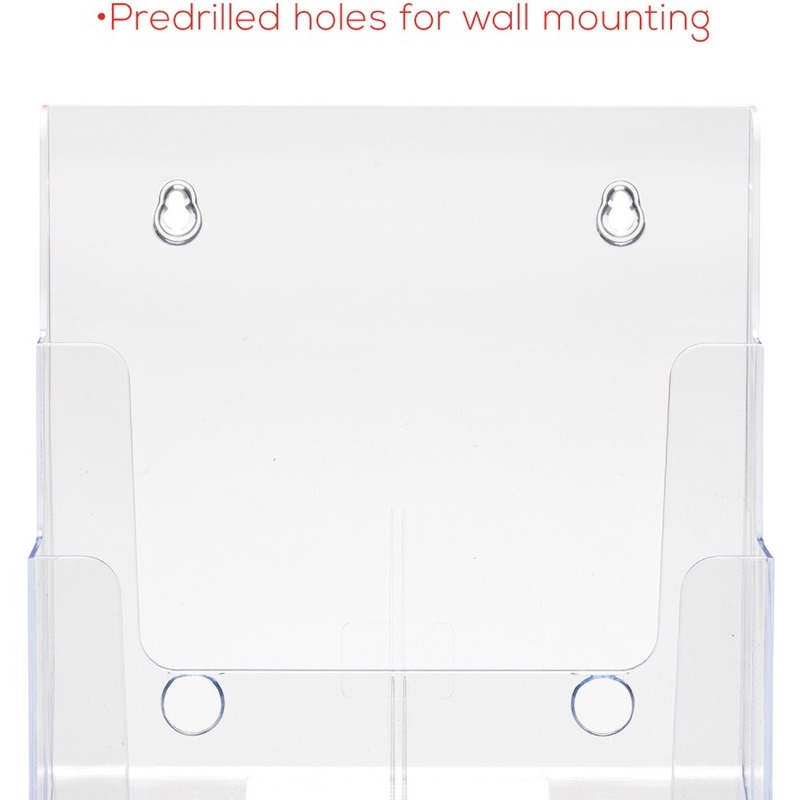 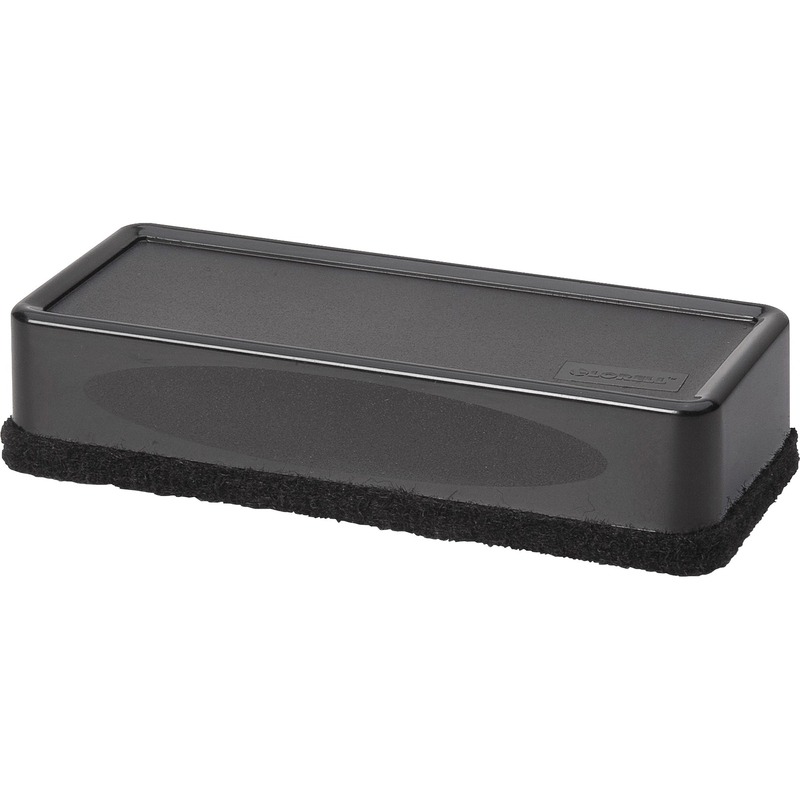 Use as a stand-alone display on countertop or mount on a wall.